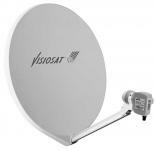 Satellite and Sky Installation and Repairs throughout Cornwall from St.Austell to Penzance. I have the very latest testing equipment which allows me to install our systems to a high level of precision, this and my local knowledge of the Truro and Falmouth areas allows me to remove the guess work of aligning aerials and satellites. We can fault find systems or upgrade sky dishes to higher quality versions to increase durability and signal quality. 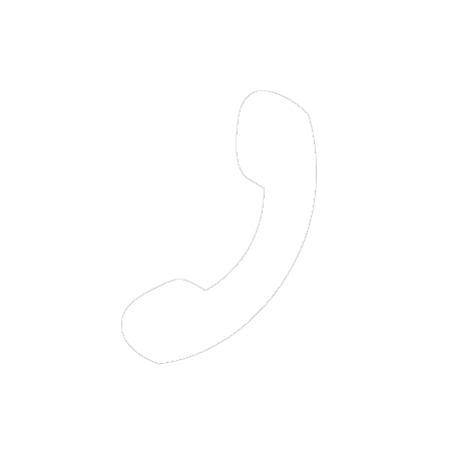 Upon calling us we will discuss your requirements, if there is a problem with your existing satellite system we will ask you some easy questions to judge what we will need to do upon our arrival and to give you a guide price. 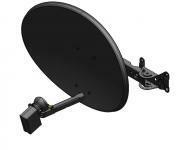 We can supply and fit Standard sky dishes, repair faults or temporally move your dish due to scaffolding. We can survey tour building site or home so you know where your dish will need to be located, your cabling can then be run to that location, minimising work once the build is complete. Are you having problems with pixelation or the dreaded no signal message on your Tv, we can diagnose and rectify the fault. Do you live in an exposed location we can install a fibreglass dish tgat will stand the test of time again the sea air and storms of cornwall. Do you need your dish to be discreet, we can fit a clear dish to make your sky/ SkyQ or Freesat installation as discreet as possible. We can upgrade your old dish with a SkyQ sensor (LNB) with minimal fuss to enable you to view SkyQ. 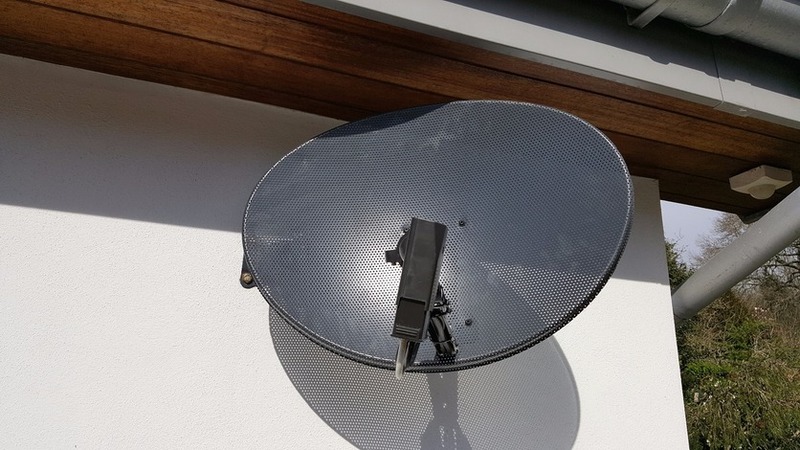 Have Sky refused your installation due to the height or accessibility of your dish, we are specialist at working at height and can conplete the installation with minimal fuss. We can install a dedicated SkyQ wired network which will provide a reliable service for tour main tv and extra rooms. Freesat is a free satellite platform designed to provide you with full tv service where standard terrestrial tv is not available, we can install this and get you a reliable tv service. 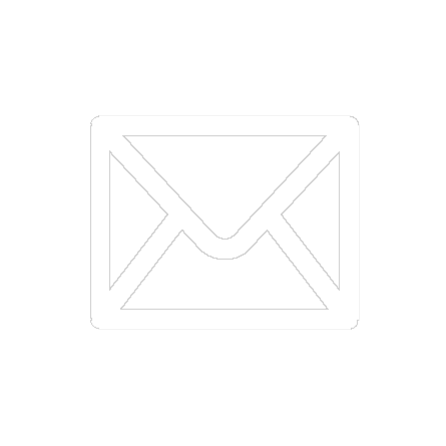 We install, maintain, repair and can upgrade communal systems to ensure a hassle free service, extra points for flats or houses- no problems we have it covered. We can install extra points around you home discreetly with minimal fuss so you can relax in bed or watch tv whilst your cooking!